Six sizes based on width of paw. $31.95 -$34.95 for four boots, based on size. Easy to put on - difficult to slip off! Wide opening split seam top - making it easy to put on the boots. 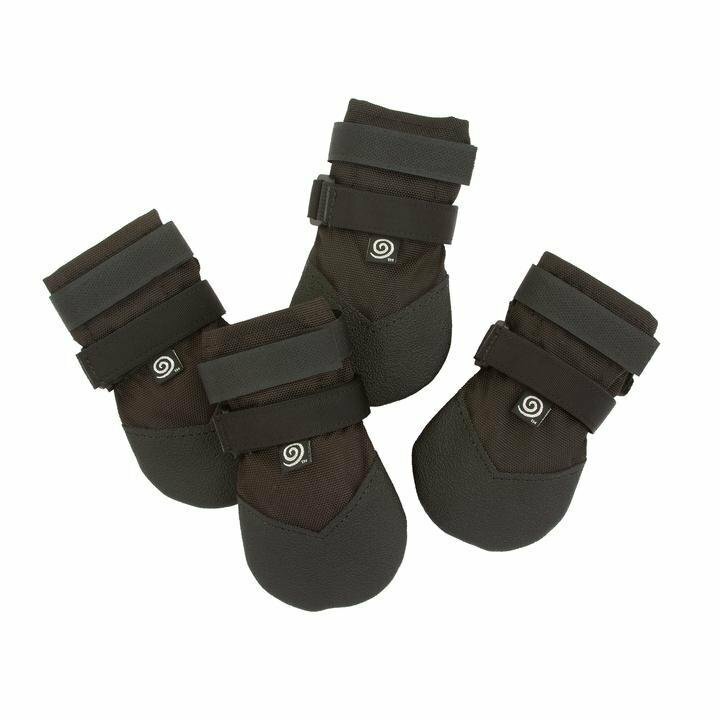 Generous foam at the closures creates a secure grip and cushions the dog's paw when the boot is tightened. To extend the life of your dog boots we recommend applying Shoe Goo to patch small holes in the sole that can appear with wear.